From the mouths of babes we have all heard innocence, raw opinion, honesty, and the importance of that very moment right now in time. Children teach adults many things, but life is busy these days, are we really listening to them? 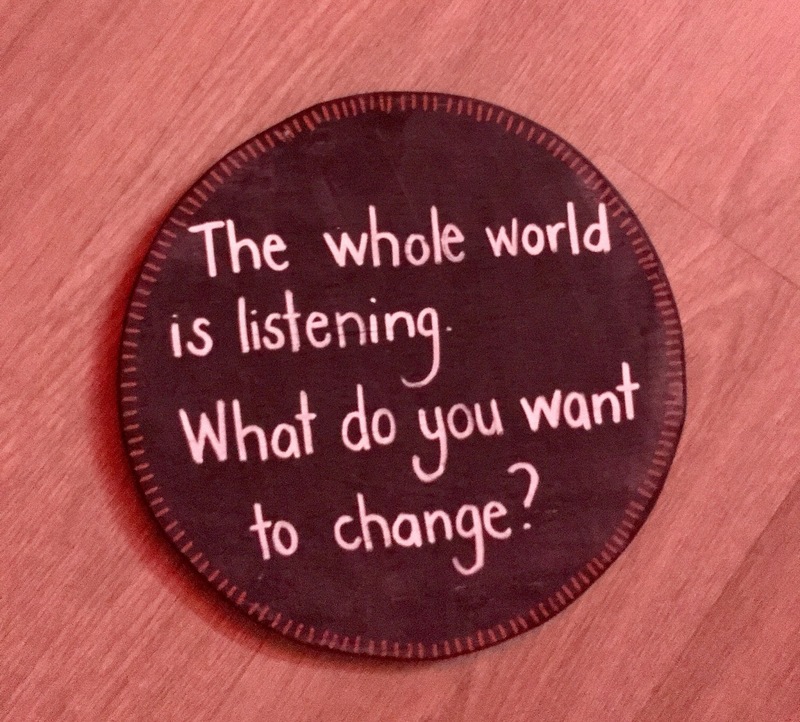 The Small Voices Louder project by Alex Desebrock and Maybe_Together in partnership with Performing Lines, offers the opportunity for grown ups to stop and listen. 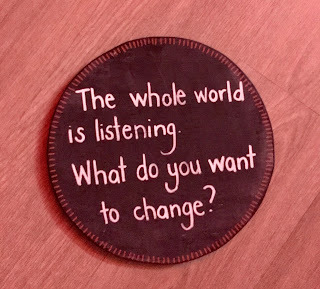 Because sometimes Children's voices are exactly what the world need to hear. Small Voices Louder is a two part project. 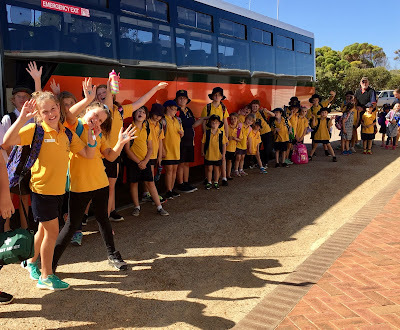 Firstly, in partnership with Hopetoun Primary School and Ravensthorpe District High School, children were invited on an excursion to the Hopetoun Hall. 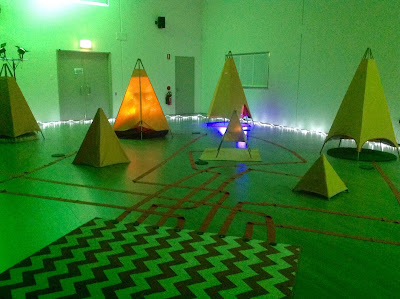 The Hall was filled with an installation of tents which individually contained a micro-world of sorts - an alien, a cloud, a fish, a crystal, a beating heart, a portal, the world and an egg. 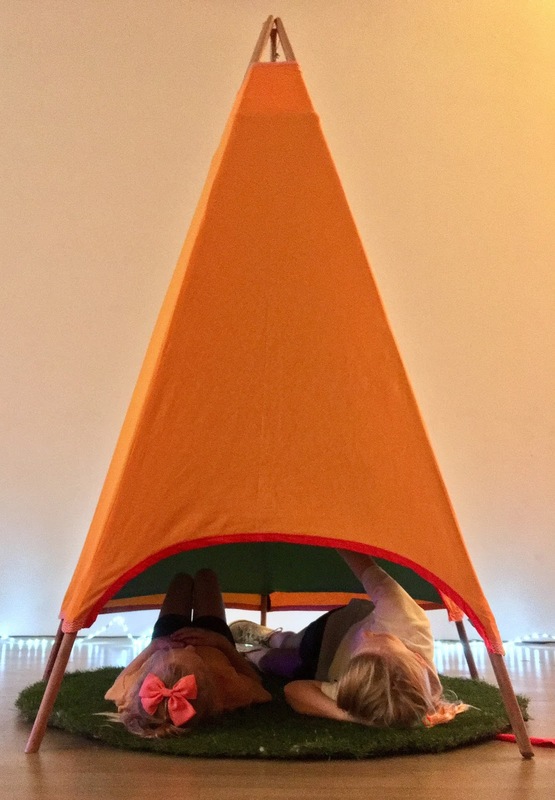 Each tent also presented a question, and the children's answers were audibly recorded. These recordings will be weaved into sound works. Part two of the Small Voices Louder project will be a "sound experience" where the soundtracks will be broadcast to adult ears. This part of the project will be moving into production phase shortly. We absolutely cannot wait to hear the sound tracks, and we can't wait to share them so keep your ears to the ground! Stay tuned to our Facebook page for updates. A special thank you goes to Lotterywest for funding the school bus which brought the children in from Ravensthorpe DHS to the Hopetoun Community Centre. Also much thanks to First Quantum Minerals Ravensthorpe Nickel Operations for their ongoing support with supplying accommodation for our artists. 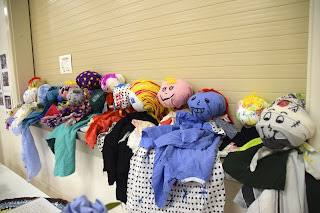 A partnership with Hopetoun Primary School P & C.
When you’re a bushwhacker and you’ve been one for a while, you know how important it is to get together with your mates and have a good honest yarn. What's better than a yarn? 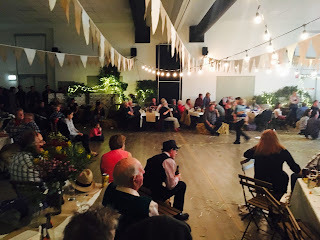 A good old fashioned toe tapping spoon whacking bush dance. The bush bash began with a song written and conducted by the lovely Richenda Goldfinch, performed by the Hopetoun Primary School kids. 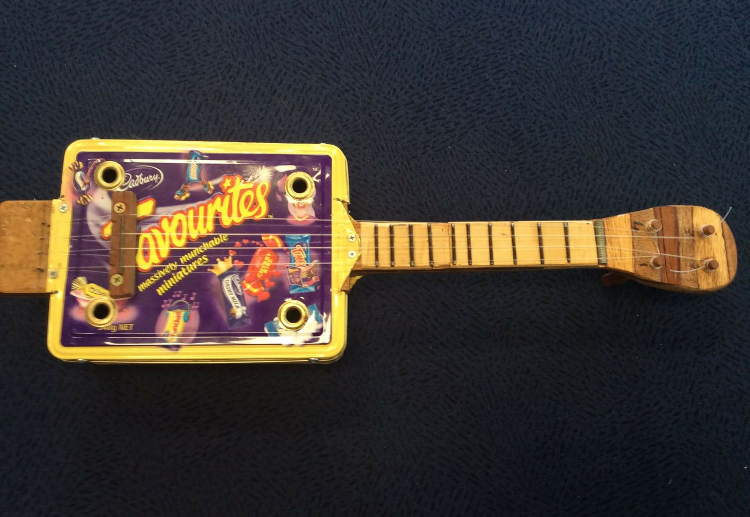 The kids musical instruments were home made with recycled materials by a cobber that goes by the name Bruce Alford. The kids put in some hard yakka practicing for their debut. No bull dust, it sounded like the kids had walked strait off the stage at the Sydney Opera House. Mag. Nificent. Proud as punch they were. A WA favorite, The Mucky Duck Bush Band, cranked out colonial style Australian dance music and the young'uns had another change to wow the crowd with their practiced dance moves. School lunchtime dance workshops had payed off, and the band encouraged all to join in instead of just sitting around having a gander! The festivity was well received. You may remember Deb "Spoons" Perry from Australia's Got Talent a few years back? 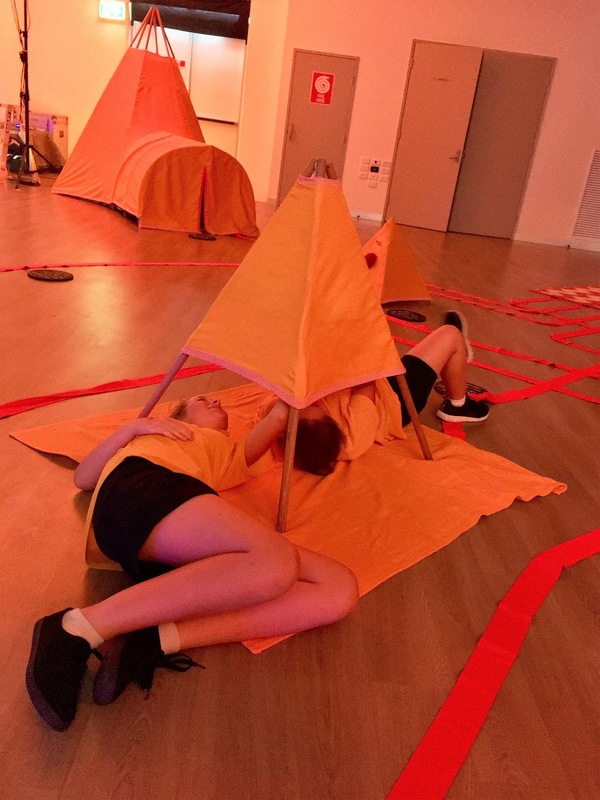 After a "spoons" workshop at the Hopetoun Primary School, the kids were geared up to play along with the famous Deb "Spoons" Perry and they had a ball. Deb also performed an open slather-spooned crowd pleaser to a spoon chaperoned compilation of "Black Betty" and "These Boots are made for Walking". An absolute rip-snorter. All sorts scrubbed up for the occasion. Cockys, Codgers, Sheilas, Larrikins, Grommets, and Greenies, it was on for young and young at heart. Some good tucker was on offer, Roast Beef and Gravy Rolls, Stuffed Spuds and a Snagger Sizzle all thanks to the Hopetoun P&C. And last but not least, yummy sweets from the Pavlova Bake Off! The 'big kids' enjoyed a couple of tinnies at the bar too. By jingoes you won't find a better mob from Cooee to Timbertown, and I'm not pullin' your leg. The Sheilas (and Blokes) from Hopetoun P&C along with the many other volunteers that pulled the night together did a ripper of a job. The town will be gas bagging about it for yonks. Ravensthorpe Regional Arts Council reckon the Hopetoun Bush Dance was grouse, and are tickled pink to have been the major sponsor. Fair dinkum.